Many people appear to be coming round to the idea that investment in housing could be the way forward in attempting to revive the economy. There are good reasons for thinking that housing investment is a promising avenue to pursue. Even though the estimates differ somewhat in magnitude, the direct impacts of investment in terms of increasing employment and taxation and reduced unemployment benefits are now relatively clear. And import leakage is low. The multipliers and indirect impacts of housing investment compare very favourably with those for other types of investment. It is very welcome that greater policy attention has focused upon housing, but we should recognise that we face intersecting issues here. There is the urgent need to identify an effective macroeconomic lever. House building may well do the job. But there are longstanding concerns about the housing supply system in the UK. For the last decade and more housing supply has fallen short of requirements. Most analysts think we need at least 210,000 units a year, every year. The last time a government ventured to pin a number on the situation was in 2007 and the number was an increased requirement of 240,000 per year. Only once over the last decade has annual output come reasonably close to hitting that target. So we continue to build a backlog. No doubt part of the sluggish supply responsive in the UK is associated with the planning system. But the particular and peculiar nature of the housebuilding industry also plays a role. The industry relies heavily upon subcontracting and is more labour intensive than similar industries elsewhere. It can rely heavily on land speculation rather than technical efficiency in production to make its money. Over the last decade and more the industry has experienced a process of industrial concentration, with a few volume builders now accounting for a substantial share of the market. We are also in a period of significant tenure change, with owner occupation stalled and private renting growing rapidly. There are reasons for thinking that, unlike the temporary growth of private renting during the 1990s housing market bust, current changes could signal a more persistent transformation. This is an issue that analysts and commentators continue to wrestle with in real time. My plea when thinking about housing and the economy is that we need to think holistically. There is the initial question of why housing rather than other types of infrastructure spending. There is an answer here not only in terms of multipliers and import leakage but also the fact that it is feasible to get housing developments up and running relatively quickly. They are closer to “shovel-ready”, if you will. But it is also important to step back further still. We need to think about the economic impact of housing investment not simply in terms of the direct and indirect impacts in the short term. Three areas are particularly pertinent. First, recent estimates of the impact of poor housing on health typically come out with figures north of £2bn per annum. That represents both days lost from participation in the economy and additional demands on the NHS. If those affected are children it also means that the future productive capacity of the economy is impaired as a result of housing-induced ill-health resulting in underachievement at school. Second, additional housing development which improves affordability will allow for greater mobility – particularly inter-regional mobility – and reduce spatial mismatch between the population and centres of employment. This enhances the productive potential of the economy. Third, we know that poor housing and neighbourhood conditions – and in particular overcrowding, homelessness and enforced transience – are associated with poor educational achievement. Failing to deal with this simply perpetuates disadvantage. Investment in housing may currently be in focus because it might offer a short term fix for an economy in the doldrums. But there are sound and longstanding arguments regarding why improving the housing stock is important for economic efficiency and growth. It is investing to save and investing to enhance potential. A push for investment in increased housing supply would be welcome. But it would also present a challenge. Can the system cope with a major stimulus? Can the system deliver? Clearly there must be under- and unused capacity at the moment, given the collapse in house building over the last four years. The recession is likely to have resulted in some depletion of skills and labour availability as people move out of construction into other industries. So the industry wouldn’t have quite the same capacity as it had before the recession. And, as noted above, only once in the last couple of decades has industry output approached the level required to make demographic growth. In fact, investment in house building now may well be a sensible measure simply to stop further depletion of capacity – so that when a recovery finally arrives the industry is in better shape to respond. Otherwise, increased demand will just transmit straight into price inflation. The structure of the housing system more generally remains largely as it was before the financial crisis. 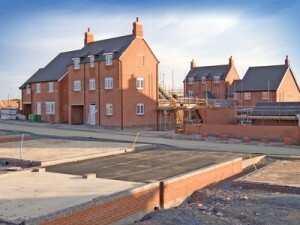 Recent change, or lack of change, has been reviewed by the JRF Housing Market Taskforce. The UK housing system is bedevilled by volatility, which is partly a function of weak supply response and partly a function of liberalised credit markets. There has been some change in the planning, but no meaningful reform of the construction industry or the taxation system. The FSA’s Mortgage Market Review has suggested the need for more prudent lending very little has been laid down as by way of hard regulation. The expectation has to be that when the market picks up again lending criteria begin to loosen and we’ll be back where we were in 2006-2007. 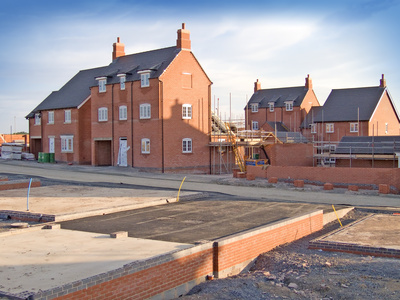 While the idea that we need a major housebuilding programme has gained acceptance, less attention has been paid to what should be built and where it should be built. UK housing space standards have been declining for the last two decades at least. We build some of the least spacious properties in the industrialised world. It is a peculiarity of our housing history that we have built the highest quality properties to decent space standards – particularly public housing – in the periods of most intense housing need after the two world wars. It would be unfortunate if we rushed to build just any old thing in order to take advantage of the multiplier effects, but produced small inflexible and quickly obsolete spaces in the process. After all, in practice we have to assume that anything that is built needs to last a century. And if real incomes rise in the long term the demand for space will rise and demand for shoebox properties will evaporate. Equally, only building large executive homes would help the volume builders’ profit margins but probably not the problems of affordability facing first time buyers. While filtering mechanisms might deliver cheaper starter homes eventually they aren’t particularly reliable and the filtering process will take time to benefit those at the bottom of the heap. The “where” of building may be different depending on the objectives that are prioritised. In particular, the most appropriate locations to target building to assist economic growth are not necessarily the same locations that would be targeted to have the largest or most immediate impact upon affordability. The debate on housing and the economy recognises that in addition to the direct benefits of investment there are a range of indirect benefits associated with secondary markets and labour markets and potentially a variety of positive social effects, some of which are longer term. But the indirect effects of housing investment can be thought of as broader still and rather more abstract. In particular, there is a growing concern about intergenerational justice. The concentration of asset ownership among older households and the inability of younger households to enter the housing market generates discontent, resentment and social tension. Through intergeneration wealth transfer it also perpetuates social inequality. Expanding housing supply is the primary means of addressing this problem. The debate is coalescing around the stimulation of housing supply. But that is only one half of the equation. We might ask why housing supply has collapsed so precipitously over the last four years. A key part of the story is the credit crunch. And a key reason for the current sluggishness of the housing market is the thinness of the mortgage market, for first time buyers particularly, and the more arduous deposit requirements being stipulated by lenders. This leads to what has been termed in the literature “frustrated demand”: there are households who could afford to service a mortgage – indeed they may be paying a rent in excess of a mortgage on an equivalent property – but they cannot get access to appropriate mortgage finance, often because they lack the money upfront for a deposit. Another part of the story of the weak housing market is increased unemployment risk and price uncertainty as a result of the parlous state of the wider macroeconomy. Similarly, real incomes – and for many people nominal incomes – are declining. In the private rented sector restrictions in the local housing allowance means that a proportion of those looking to live in the private rented sector have fewer resources at their disposal to secure accommodation. All these factors mean we need to ask whether if the Government stimulates the supply of housing will the demand for those properties be there? If the Government offers guarantees but expects developers to take a risk in restarting building schemes or building out schemes that are already underway then it is assuming that developers are anticipating willing buyers. If they can’t see willing buyers then they aren’t going to build. If they can see willing buyers then they don’t need a guarantee. In the past when Britain has engaged in intensive periods of major house building a good chunk of that building was local authority housing for rent at low rents, so the issue of whether there would be people to let the properties to was less pressing. The challenge of engineering a housing supply revival in a more marketised context is considerable. Finally, we have to recognise that there are tensions in the objectives across policy areas. Most housing economists think that housing is still overvalued and undersupplied and therefore supply needs to increase to restore some semblance of balance to the housing market. However, from the point of view of the banking sector there is more caution about doing something that causes prices to depreciate because it will negatively affect bank balance sheets, which may already be relatively weak. Similarly, while more house building may help the economy from the point of view of economic potential and labour mobility we know that house price depreciation – and the accompanying perception that household wealth has declined – is associated with a drop in GDP. And reduced housing wealth is associated with lower levels of self-employment and business start up. For the last couple of decades social policy has been geared towards a reduction in tax-funded state services and a narrative of asset-based welfare. People are expected to ‘spend the house’ in order to meet their needs – such as long term care in older age – and those of their family. In this context maintaining the value of the house can be seen vital. This raises questions, in the context of localism, of where new housing will be built. If I am not sure whether I am going to be handed a large bill for my long term care in due course – because, for example, proposals like those of the Dilnot Commission have not been implemented – then it is rational for me to resist local development that would undermine my house value. So bringing more clarity in other policy areas may facilitate progress in the housing field. Hence, the incentives around housing and house prices are in tension when we view them from different perspectives. The move to enhance housing supply would be welcomed from one perspective but perhaps not so joyously embraced from another. That isn’t to say that we shouldn’t pursue further investment in housing – we should. But the picture is perhaps more complex than it first appears and the process could be facilitated by actions in related policy areas.